Come boogie the night away in your greatest gold, glitz and glamour ensembles as we play a mix of covers from that 70s era and original disco tunes! 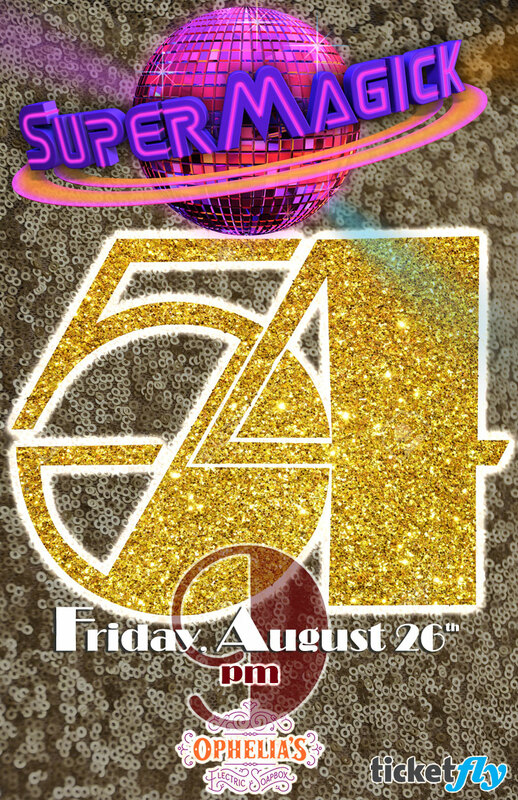 Let’s turn that soapbox into studio 54! This place is more than amazing food, a great stage and a fantastic bar. Ophelia’s is a repurposed brothel just waiting for the funk to be reborn with an electronic space opera of epic proportions. We love Ophelia’s and we think you’ll love it too.